It was an early start from the Premiere Inn at Stanstead airport for the not too easy walk to the terminal (no pavements... but we didn't fancy paying £3 for the bus when that was actually a reasonably high percentage of the flight cost!). 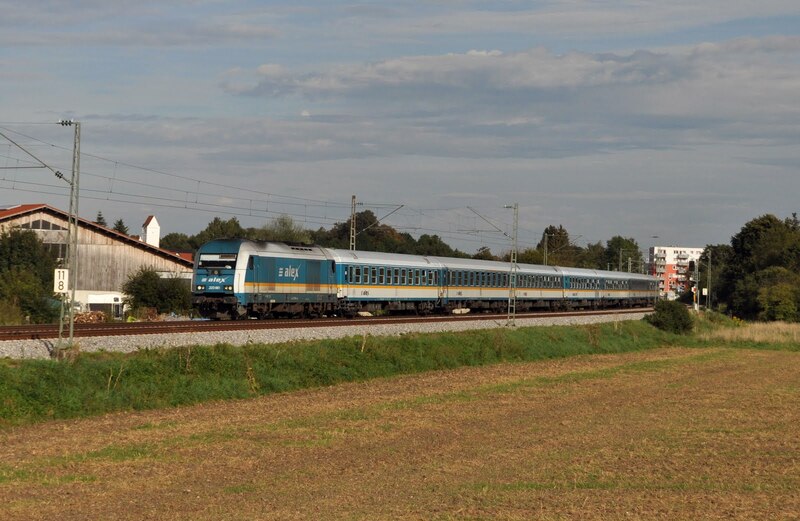 Our Ryanair flight to Memmingen was on time and we arrived nicely at a time without a good rail connection in to Munich. Our first taste of German efficiency was also showed off when the bus into town arrived just over 10 minutes late- a surprise to everyone who was expecting it on time. Memmingen is quite a nice town it turns out and we found some lunch before returning to the station to see 218435 and 218481 on a northbound IC from Oberstdorf before eventually boarding the midday(ish) EC to Munich with 218416 and 281403. With the weather reasonable and not much more of a plan than to try to track down some 218's for a run to either Muhldorf or Fussen (two routes we failed to tackle last time round) we headed to Heimerenplatz for a few hours of freight photography. Of course as soon as we turned up the light faded and by the time we left it was a full thunder storm- however the station was busy and while the 111's we could watch 3 years ago were much missed there was no let up in the freight traffic with trains often running back to back. 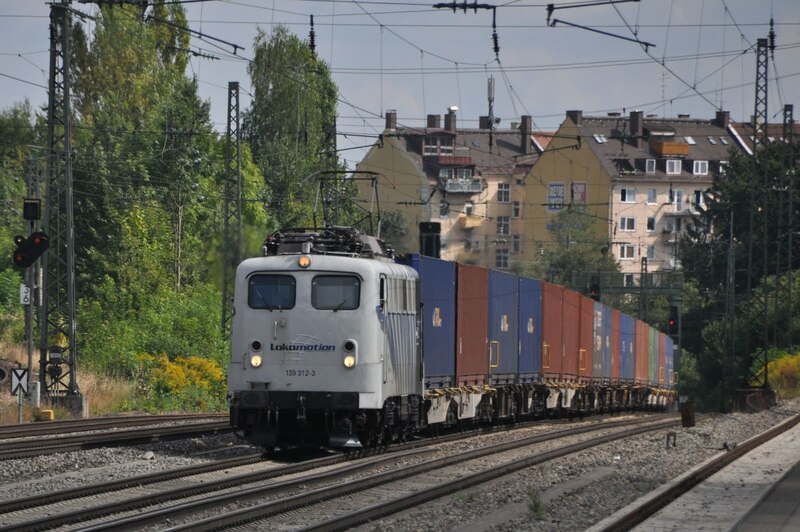 Highlights of the freight activity included LocoMotion 139 312 on a container train and Spitzke Logistics V100-SP-008. 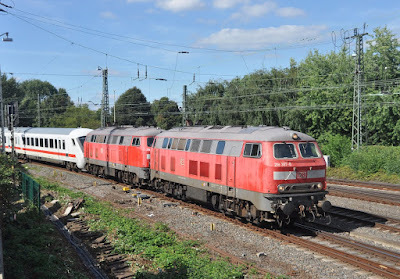 We also got our first taste of the thoroughly uninspiring class 245's but did see a few more 218's than we were expecting on the Muhldorfs from the diagrams. One run had N-Wagons but we couldn't photograph that as a freight had parked up in front of us. The loco hauled Meridian turn was running slightly late and handled by 189918. 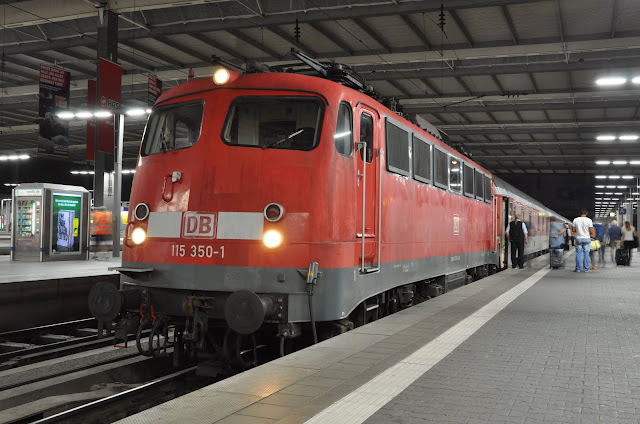 The rain having got too much we headed back to Munich Hbf in the hope that one of the evening departures to Muhldorf would produce both rabbits and some fresh air stock. It didn't go quite to plan. 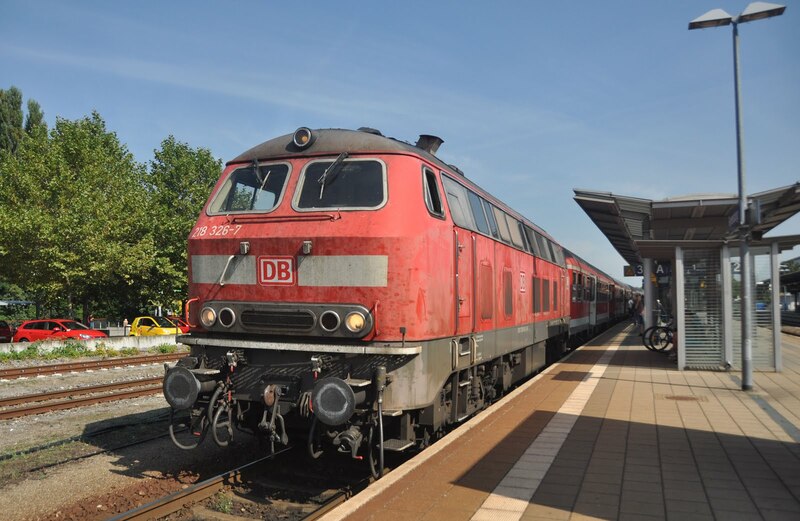 Due to some sort of problem on the rails many trains were running severely late, up to 60 minutes and one Muhldorf train was still sitting in the station long after it should have left, Dostsos of course. 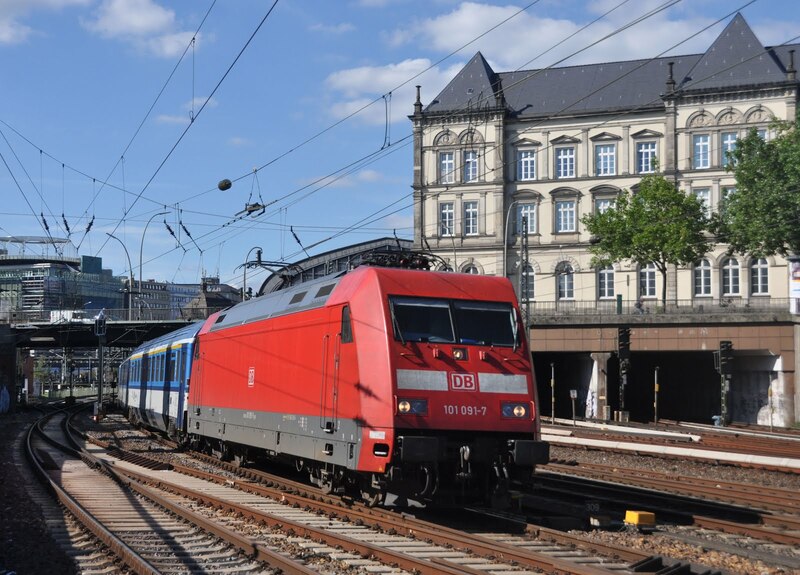 When one of our next options was started from Munich Ost we were beginning to give up on the idea- particularly as we had now realised we were committing ourselves to returning on a unit. 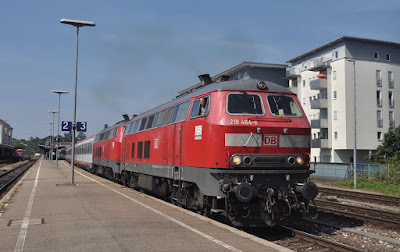 Instead we developed a plan to get maximum locos with minimum distance, taking 218429 on a Memmingen train to Geltendorf to drop back onto the 17:52 Fussen train, again realising that a trip the whole way would get us back far too late, to Buchloe. 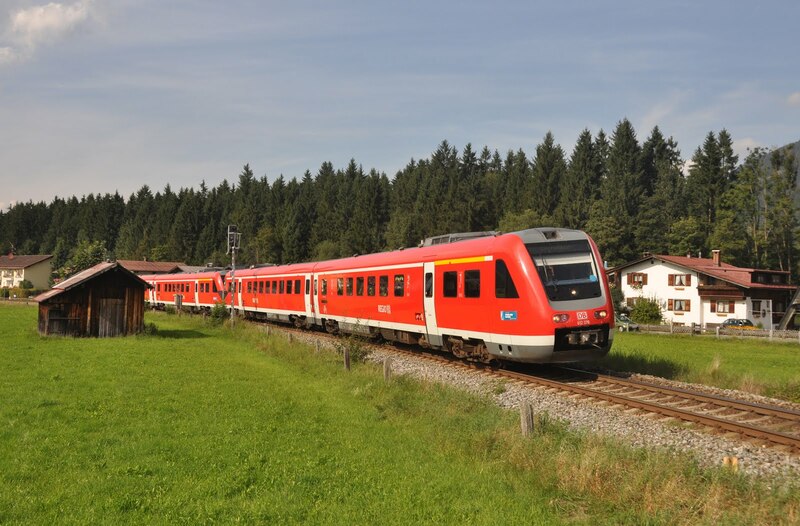 This train as widely reported is a pair of rabbits, but rather than being double headed is two 218+Dosto sets together, one of which leaves at Buchloe. We changed sets at Kaufering to confuse the ticket lady and be sure to get both sets in with 218420 and 218415 now covered. 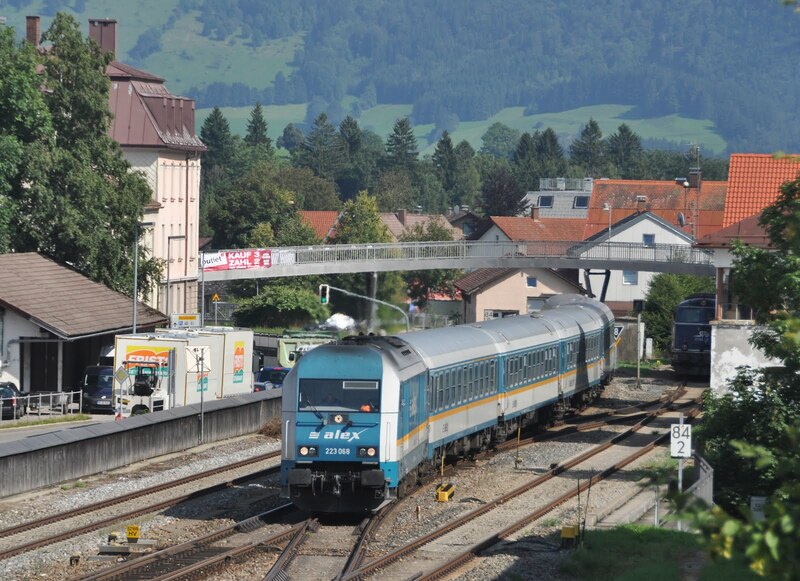 Trains back to Munich were still in a mess from Buchloe but we didn't have to wait too long for a loca with 245002. 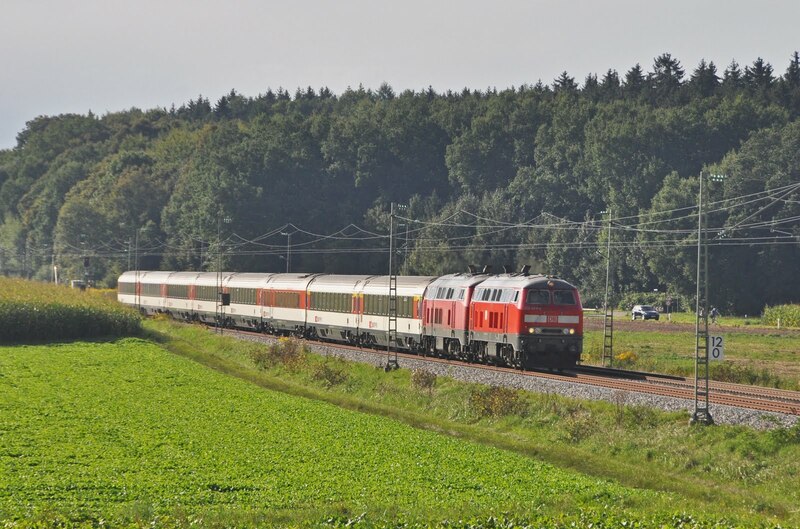 This was taken to Kaufering where we dropped back onto a much more rateable 218414 into Munich. 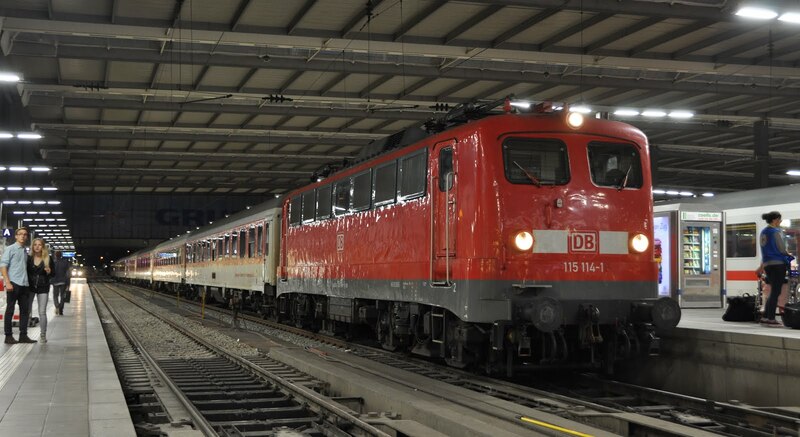 It had got late enough by our return that the 21:08 CNL to Rome had arrived in the station behind 115114 (nice to see these still in use)- after that was photographed it was off to the Augustina Beerhouse for some much needed dinner! One area we had largely failed to cover on our previous Rabbit hunting trip to Munich was Ulm so this became the main target of the day. First up was 120137 (whole class required!) on the 07:39 Karlshrue as far as Augsberg where there was time for a little look round before boarding an ICE on to Ulm. 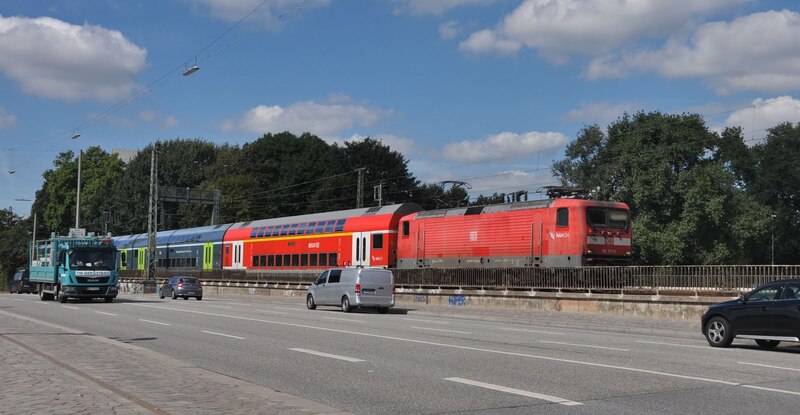 I had an understanding that the Ulm-Lindau trains were still 218's and a good bet for N-Wagons but none of this was confirmed- so I was pretty pleased to see 218326 and N-Wagons sitting with Lindau displayed in the windows for the 10:12 departure! There was a little time to photograph other trains around the station which included the stabled rabbits and HGK DE669 (class 66) light engine. 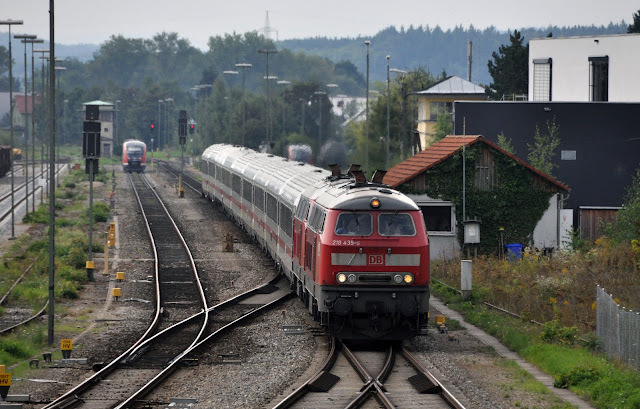 We have an enjoyable run in the front coach all the way to Lindau with the Rabbit before a quick leap onto the Austrian EC back to Friedrichschafen Stadt with 218465 and 218476 (I was desperately regretting that I had not transferred my loco records into my new DB book so had no idea if any of them were required!). 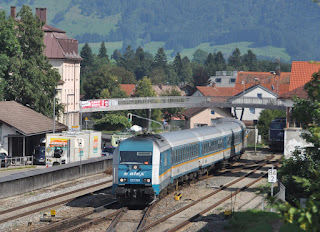 We missed 218406 to Lindau while photographing the EC running round so it was a 628 unit to make the journey back. 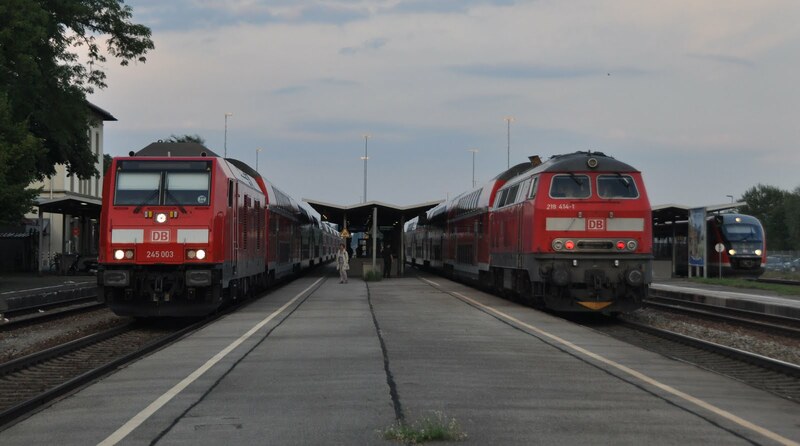 Incidentally except for our own set all other trains on the Ulm-Lindau corridor had been Dostos- a bit of luck for a change! 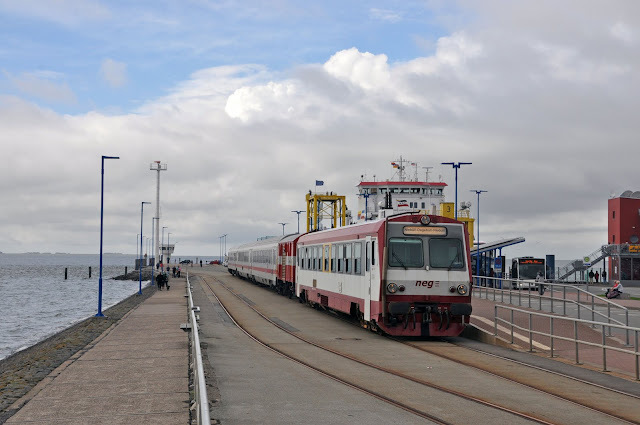 At Friedrichshafen we saw the only Ludmilla of our trip -232201 but it was stabled a bit far away to really count it as a photo. 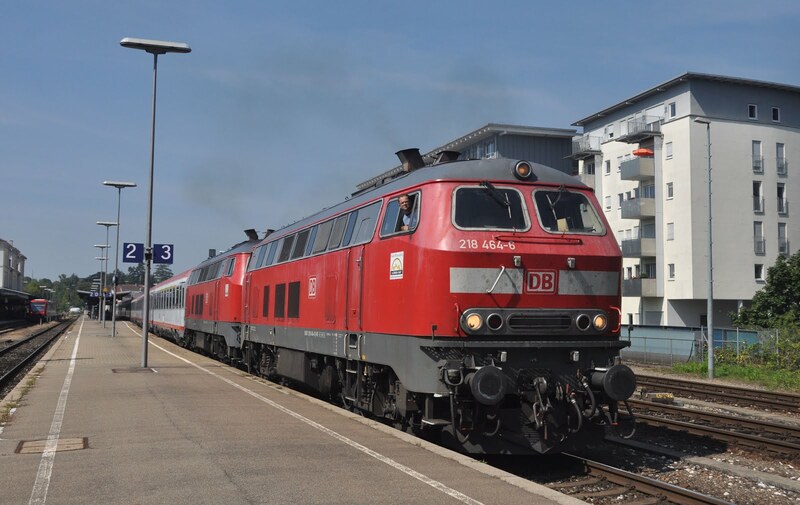 Back at Lindau we had around 30 minutes to take some sunny photos in the harbour, get some lunch and photograph 218429 which had arrived on a regional train from Munich. 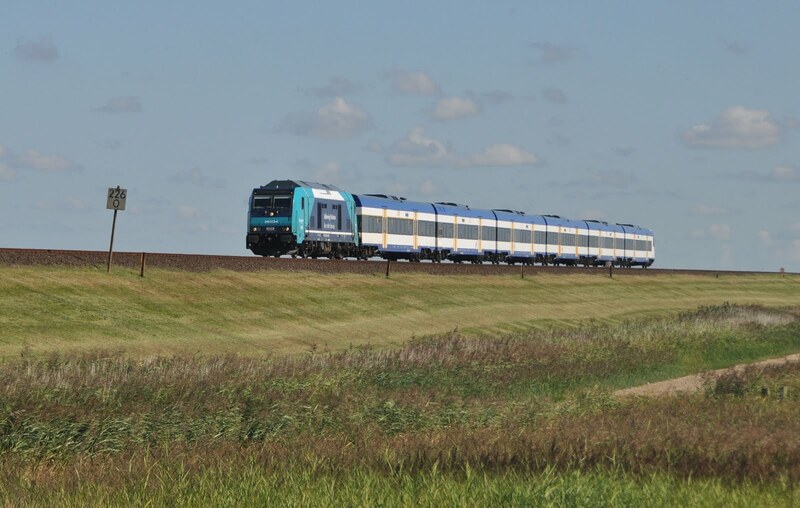 Our chariot forwards was a pair of 612 units, which gave a very enjoyable run with the front window blind open to give us a wonderful tilted drivers eye view of this spectacular line. 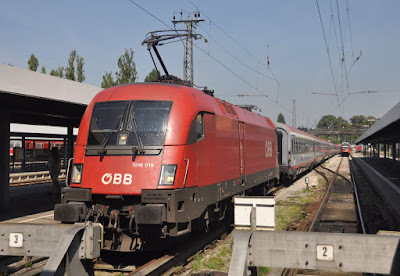 The journey came to an abrupt end at Oberstaufen where the line is shut for tunnel works and we transferred onto a bus for the onward journey to Immenstadt. 2143.18 greeted us as we had hoped with the Obestdorf ALEX portion but that is about where our luck ran out on this branch. A nice afternoon's photography was planned on the branch, and well, I have some stunning photos of 612 units! 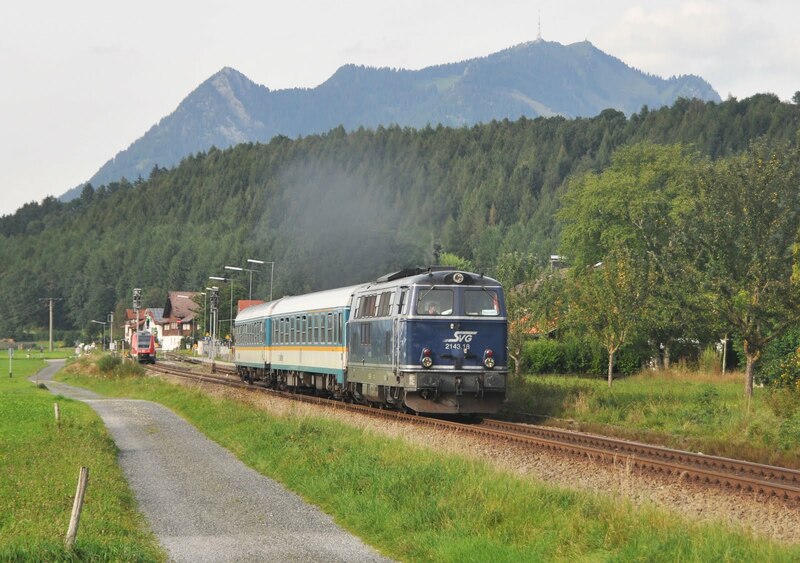 The first IC (due to arrive at 16:44) totally failed to show up- and it would have been in sun, though there were some coaches already at Oberstdorf with a rabbit- very confused as there isn't an earlier IC and all the literature showed the 16:44 arrival- anyway- it didn't show up. We headed back to Altstadten for the second IC, which duly arrived in cloud- the same small one that had been lingering above us for the best part of 90 minutes... had we had a car we'd have escaped it probably everywhere else in the valley! We did manage a couple of photos of the 2143 but none could be described as 'full sun' despite the amount of blue in the sky. Even leaving at a sensible hour and taking 223065 back to Munich on an ALEX it was almost 21:00 by the time we arrived in Munich. 115350 with the more attractive rounded front had brought in the sleeper this time so this was photographed before another trip to the Augustina Beerhouse and then the hostel bar. Another day which probably could have benefited from some more advanced planning. 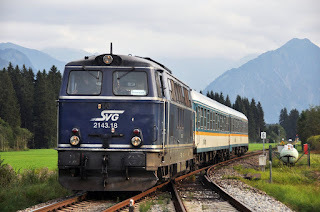 We had concluded that the 103 was still working the Worgl diagram and with a report that required 113 had worked the train the previous weekend rather than 245 it seemed worth a go. We took the leisurely 09 something OBB EuroCity to Italy as far as a roasting Rosenheim where there were far too many Meridian units, lots of Germans in traditional dress and some girls handing out a weird coca-cola and orange drink. 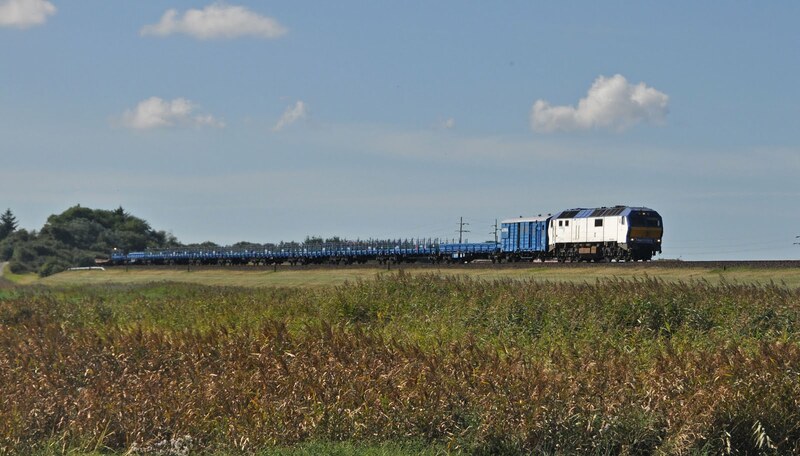 We did see a bit of freight also but were generally in the wrong place for most of it. 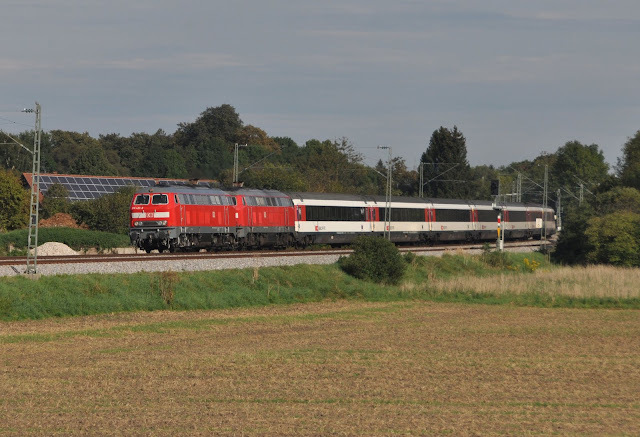 On que 103113 rolled in with the IC to Munich and despite the sun being largely wrong some quite pleasing shots were taken. 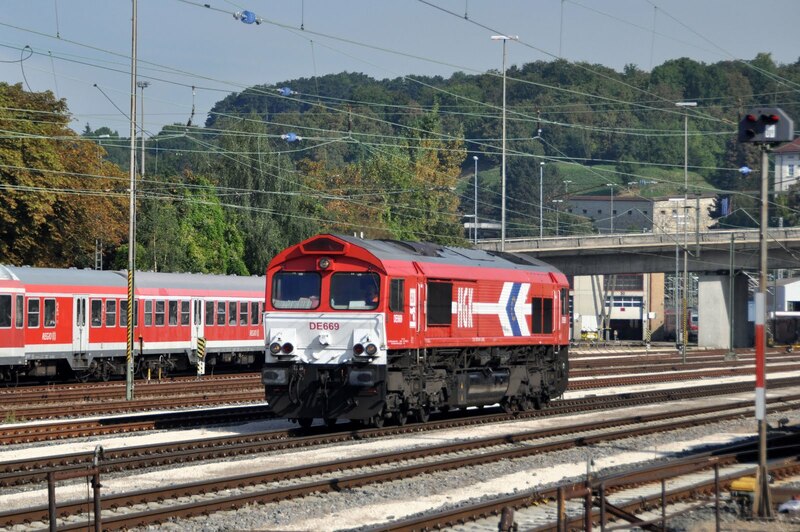 Once into Munich we headed out west as it was felt some more shots of the 218's on Zurich EC's were needed. We stopped at Kaufering for shots from the bridge, which turned out to be a more constrained shot than we hoped. The sun took a while to warm to us and while we didn't get our EC in sun (again!) we did get a 245 and an ALEX. 218's are very scarce on this line on Saturdays so we took the only all day diagram (a Fussen) back to Munich Passing with 218497 which was a bit of a beast. We set up near Munchen Aubing for our final shots in this area and FINALLY got an EC in full sun along with several other trains- if only it had been a weekday we'd have had plenty of rabbits! When we lost the light it was time to head back into the city at a reasonable hour, go for an explore and find some dinner. 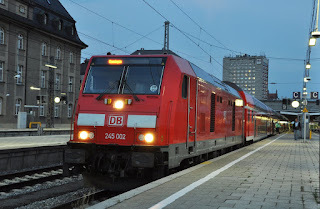 Finally it was back to the station to board the City Night Line to Hamburg. 115350 again brought in the stock and 101008 could just be made out at the dark head of the train. For a service which looses money and is going to be discontinued it was very busy with all of the berths we saw fully booked. Progress I suppose. Arrival in Hamburg was about 20 minutes late as I recall and I hadn't slept as badly as I was expecting. Still badly though. 101001 was now at the head of the CNL as it headed to Altona but for ease of our hotel we left the train at the impressive Hamburg Hbf. The weather was as dull as anything and we didn't really have a plan for the day (are you spotting a pattern here?). After checking in we headed back to the station to buy Bratwerst and formulate a plan... one was fairly quickly made to take the 09:24 IC to ride some Rabbits (might as well since it was so grey) and get in the portion to Dagebull Mole. Only problem- we couldn't find the train. Oh... it leaves at 09:16 on a Sunday. Missed. Wandered around Hamburg a bit and eventually took the next IC at 11:24. 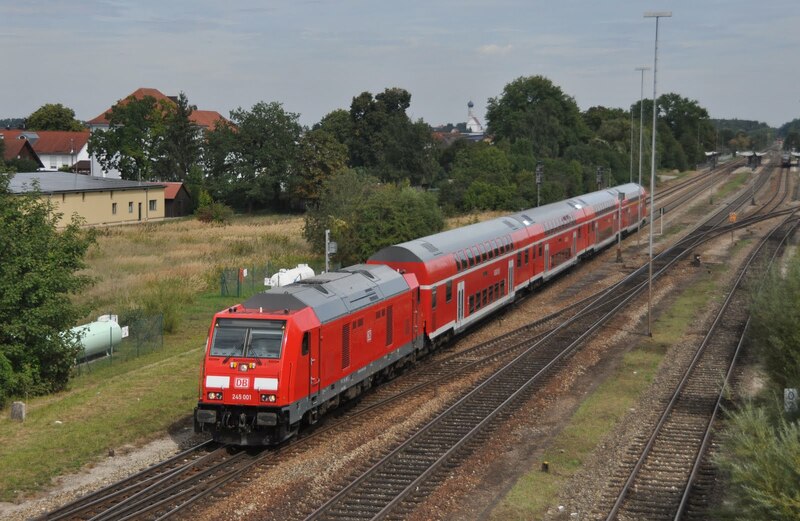 This was 101096 to Itzehoe for 218314 and 281341 forwards. 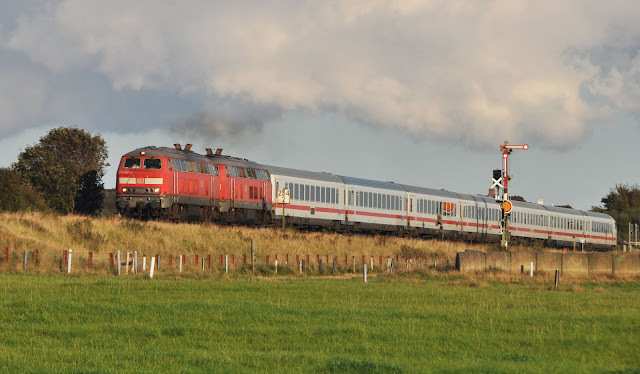 We had planned to take the train to Westerland and then come back to reach Minature Wunderland at a reasonable hour... but seeing that the weather was brightening up and that this train too had a portion to Dagebull Mole we decided to do that instead. 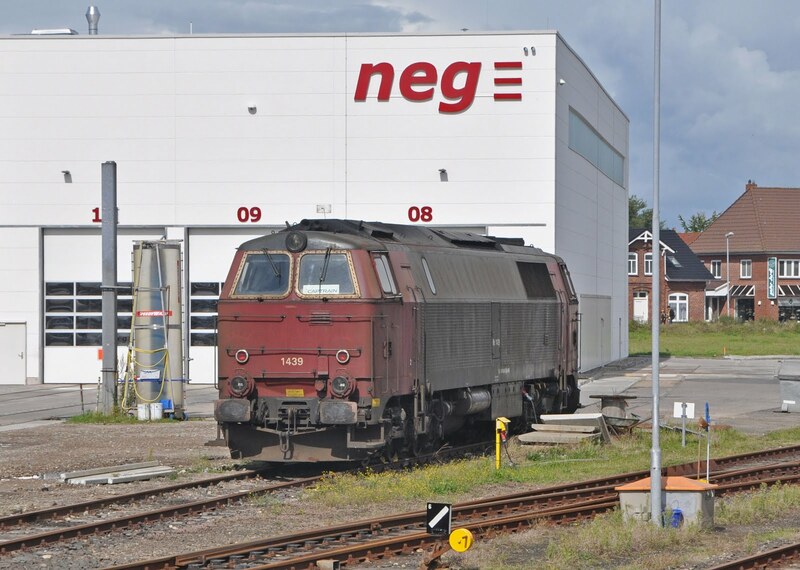 The first big surprise was waiting at the NEG station in Niebull- what on earth was former DSB MZ 1439 doing there?! I wasn't expecting to see any of these locos on this trip! MZ shock over it was an enjoyable run behind the DMU up to Dagebull- very weird being hauled by a unit in IC coaches! The sun tried its best to come out while we were by the sea, and put in an appearance for the boat, but sadly not the train. 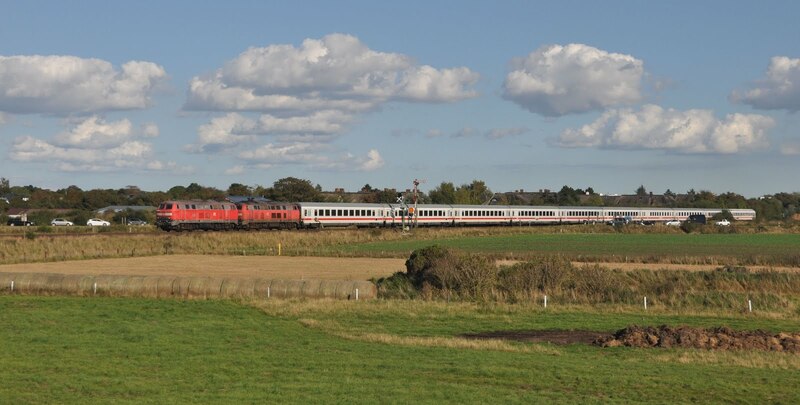 We headed back in the single car DMU (the two car one had towed us to Dagebull) to Niebull as it had better opening windows than the IC coaches. A very curious branch and well worth the effort of doing with the IC portions. 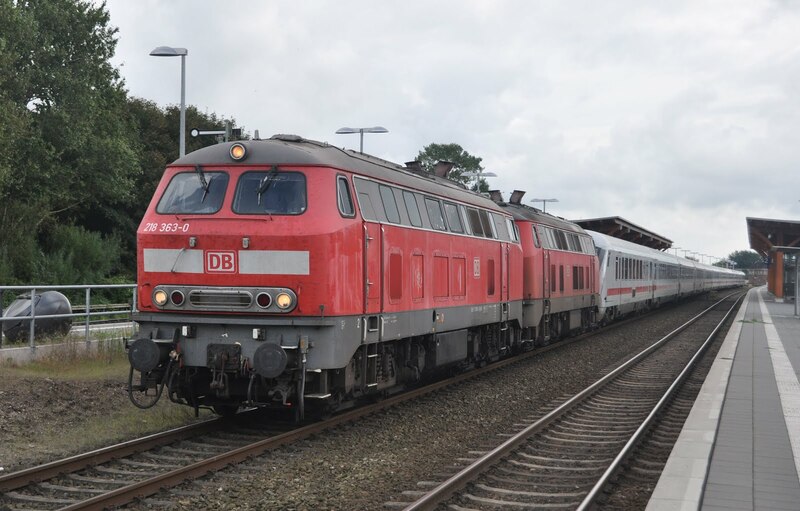 The DMU was fitted with a very good live information screen... which unfortunately was suggesting that the IC we were joining onto was going to be 60 mins late from Niebull... unfortunately it wasn't wrong. 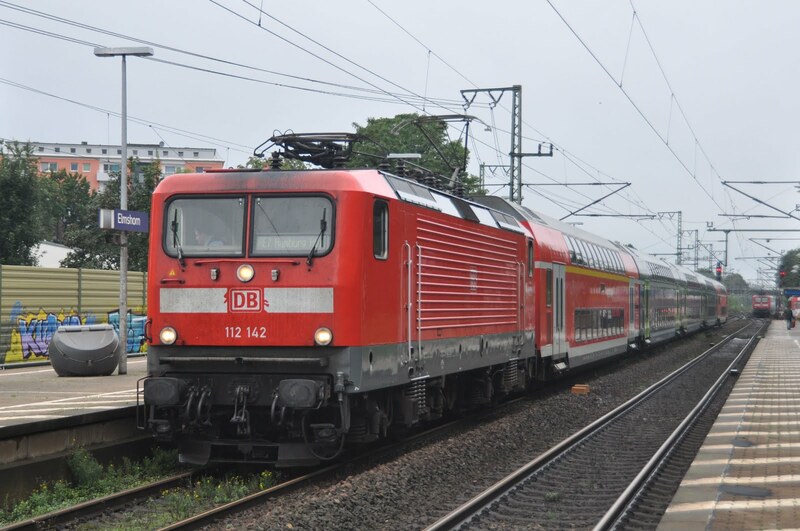 Arrival at the DB station revealed that it was job stopped on the line to Sylt with 'an accident at Klanxbull'. With a northbound IC going nowhere and two Sylt Shuttles also ready to go but not it was decided that the best option would definitely be to take the only train which was going anywhere- and that was 245212 on a southbound NOB. Fortunately we did repair our rabbit total when we realised that by Heide that the IC was only 15 minutes behind us. 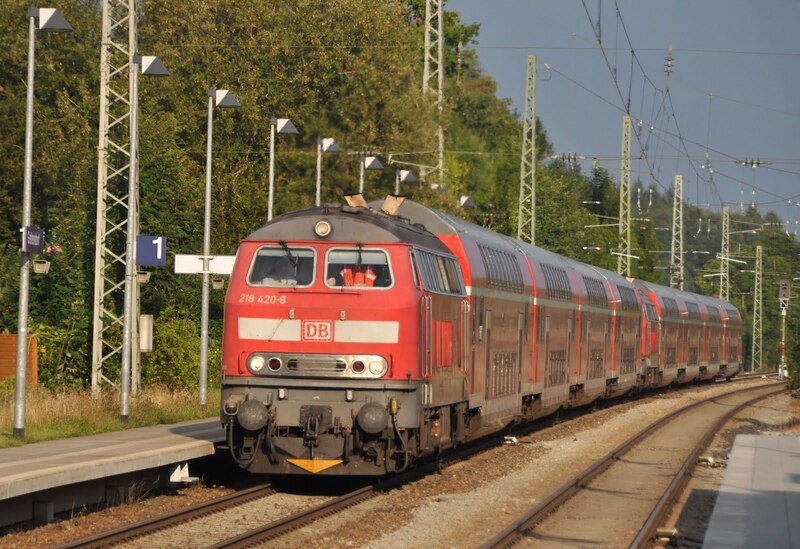 We bailed and successfully also scored 218321 and 218322 back to Itzehoe- it was the same 101096 back to Hamburg Hbf. We had looked up the opening hours of Minature Wunderland the night before, and though it was now a bit tight we still ventured over to spot some smaller trains- The 2 1/2 hours we had inside wasn't nearly enough, but definitely better than not going at all. Honestly- if you are in Hamburg it is fantastic! It ended up being a late night again with a pizza by the station well after 22:00. Today was one of the real targets of the trip- photography on Sylt. 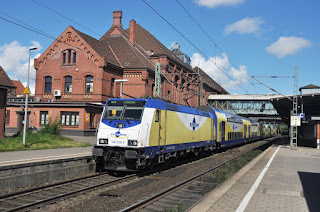 We had worked out that by travelling on a Kiel train from Hbf we could pick up the 08:40 NOB on our Schleswig-Holstein tickets when it called at Elmshorn at 09:01- this worked well and got us up to Morsum an hour earlier than if we had travelled from Altona (and scored 112156). The weather was again not great in Hamburg, but as we headed north the clouds cleared beautifully and we were able to enjoy a full day of full sun (with some clouds inland to help the photos- wonderful!). 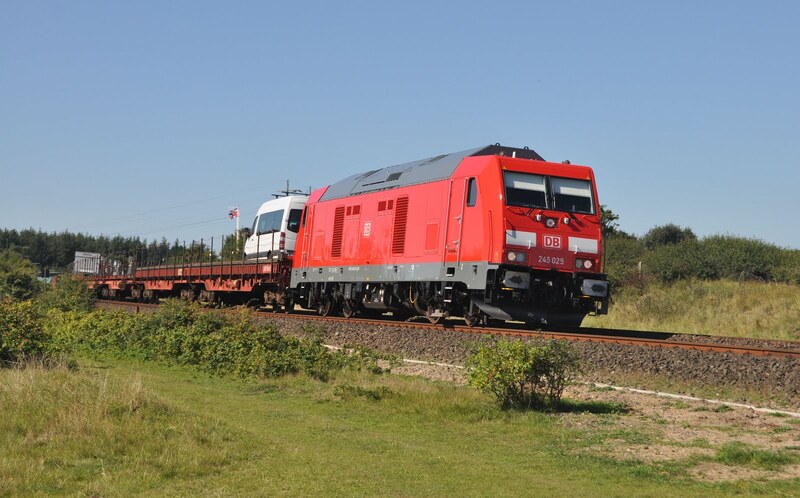 Photos were taken after the long walk to the Hindenburgdam and also at Morsum and Keitum. We also just about made it to the beach in Westerland with time for an ice cream before coming back. The environment of the Hindenburgdam is something quite different to anywhere else- but photography isn't always the easiest trying to catch the train in the landscape. 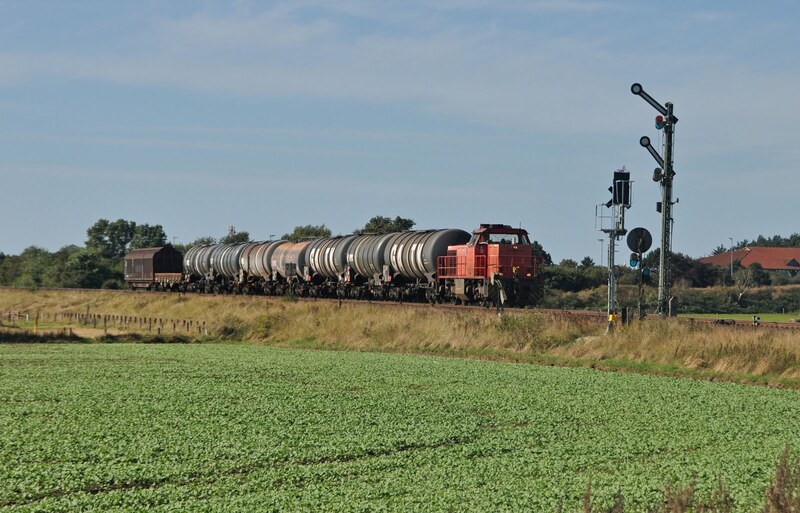 One unexpected thing that did not help was the fact that there is clearly a re-signalling scheme in its advanced stages- while semaphores were still in use each had a new colour light in front looking almost ready to go. These had not been evident further down the line at Niebull or Langenhorn. While aware that 245's had very much taken over in this area we were really hopefull that we might see at least one train with something else both on the NOB and the Sylt Shuttle. 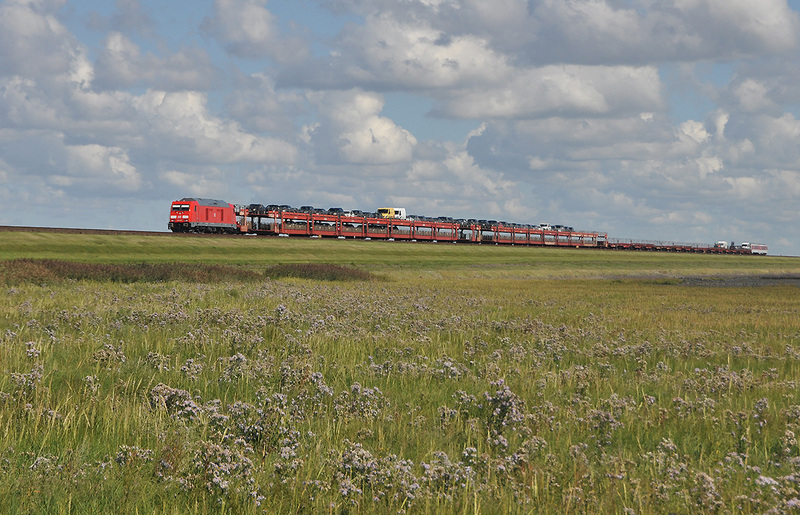 Sadly we were disappointed as every single train was 245's- there was barely even a chance for us to have missed any. One surprise we did get was 'Big Mak' DE2700 002 with 'Augozug Sylt' branding working what appeared to be a test car shuttle from Westerland to Niebull and back- with these locos being so angular the light is somewhat unforgiving for photos, but still nice to see. All IC's produced as expected with pairs of 218's and we managed to photograph 5 of the trains all in all. 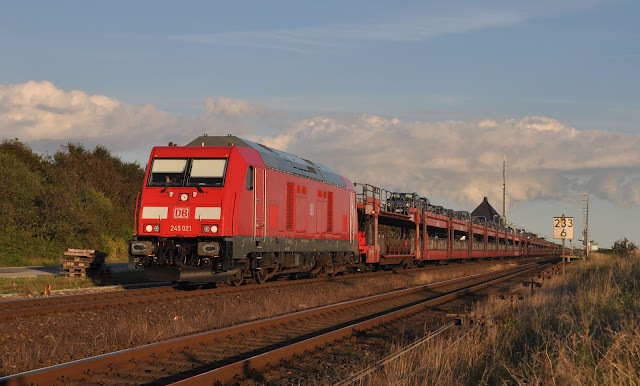 The light was so good we stayed out a little later than planned for the final northbound IC and it was well worth it- though arrival back in Hamburg was somewhat later than planned, again via Elmshorn and with a nice surprise of 112125 on a nice rake of N-Wagons! I'd not seen any of these at Hbf on my last trip so quite unexpected. Dinner was at McDonalds! Our final day and one involving an awful lot less mileage than those which had gone before! 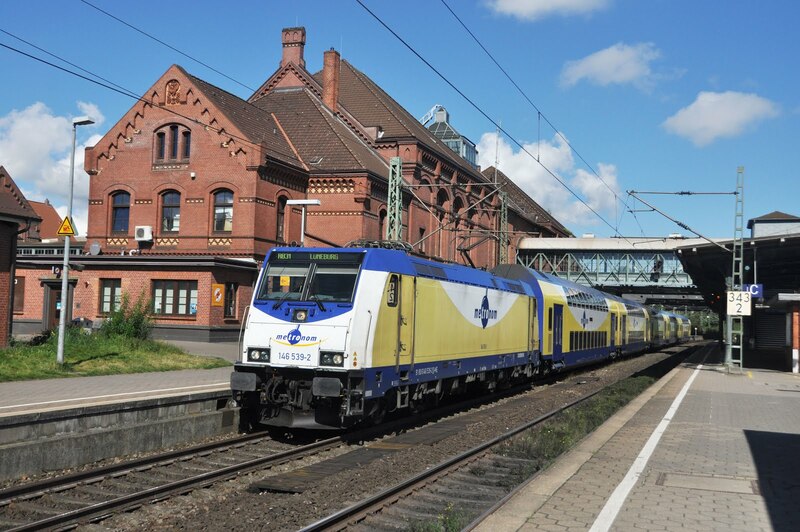 The sun was shining again in the morning but as we left for Hamburg Harburg our Metronom train was plunged into mist! Oh no! Fortunately it had just about cleared by the time we arrived. Last time I visited I managed to scare all the freight away- this time my luck fared somewhat better, though the more interesting trains definitely seemed to be those which were wrong for the sun. More interesting sightings included SBB Re4/4 421396 and EVB logistick 140848 which were stabled, also seen were DE6607 (class 66), 151113 and 151094, EGP blue 151078, HBC 212272, 155112, 296037 and of course a plethora of Traxx locomotives. 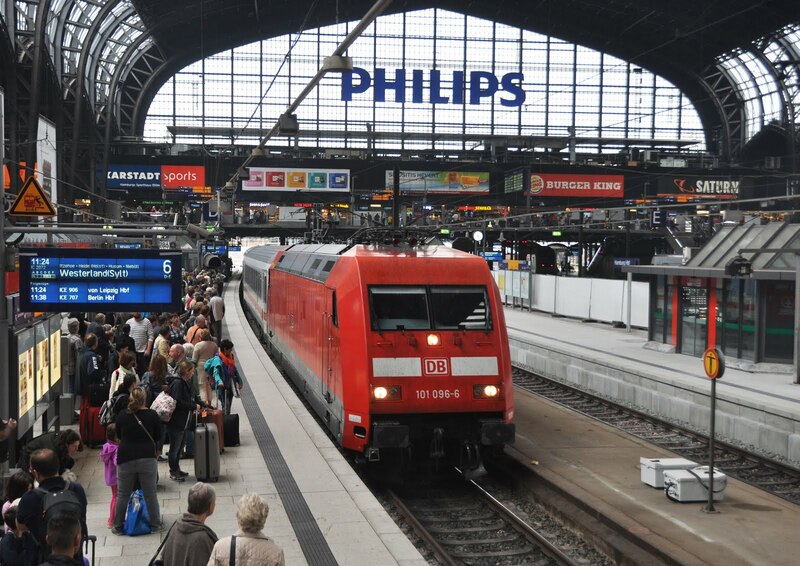 As the light was becoming difficult it was time to head back to Hamburg Hbf for our daily bunny fix with the IC which runs through to Hamburg on diesel power. I found a shot north of the station on the bridge which I am still not entirely sure whether I like and waited out for the 218's... and waited... around 40 minutes after they were due I gave up (you've got to call time at some point) and of course while I was in the middle of a traffic island walking back to the station lo and behold the 218's appeared! A quick dash across a main road much to the surprise of the motorists resulted in me getting a phot- but not the one I really wanted! Why do we do this railway photography thing again? Our final shots were at the south of the station from the adjacent road- unfortunately due to the delay on the IC the sun had gone round just a touch too far here and the shots were not what they could have been- but still nice to get a few pictures of the 112's before picking up our cases and heading to the airport. Easyjet delayed our flight to Luton by just over an hour, but didn't bother to tell us until 30 minutes before it was due to take off and after we had gone through all the security bits to the non-schengen gates- Even I knew it was going to be delayed before they told us- the lack of a plane on the stand was a massive give away! I still feel I need to spend more time in Germany (and get a ride to Fussen and Muhldorf) and I'm already thinking of coming back to Bavaria with a car next year. N-Wagons were very hard to come by in Bavaria and it turns out we were very lucky to get a long run on them with a 218 (even if it turns out that diagram is a good bet)- the Ulm-Lindau line probably now sees the most regular 218 activity in Germany with trains each way almost every hour- there is some good scenery too so I feel a repeat visit will be made before these disappear. Travelling on City Night Line re-enforces the absurdity of its withdrawal. This is not a lightly used service and surely there is a way to make it pay- fortunately OBB seem to think so as well, but despite some routes being saved the damage it will do to night services in Europe will irreparable. Throughout the train there were stickers for the 'Save the Sleeper' campaign and the guard on arrival in Hamburg was keen to announce that we would be welcome to ride CNL again but 'would have to be quick because the powers have decided to end the service in December'. I feel Sylt and the lines north of Hamburg are done now- unless the Ludmilla's would like to make another appearance on freight anyway. Venturing up here for 245's isn't a patch on the 218's which used to work the Sylt Shuttle and while I would quite like to sample the pointless 'Sylt Shuttle Plus' I doubt I will make the effort. 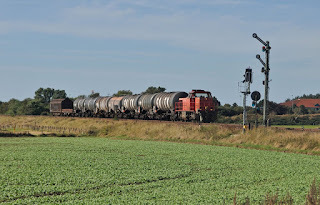 Things might get a bit more interesting when competing shuttle services begin but the loss of the semaphores probably counters this. 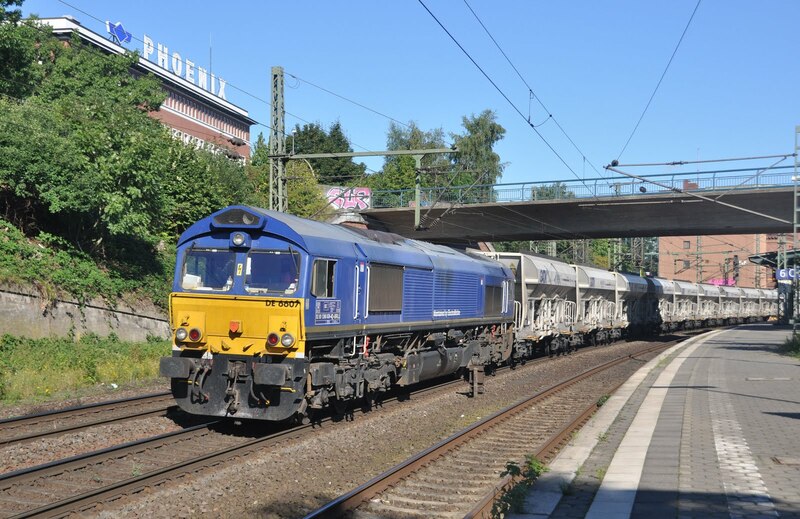 There are still plenty of loco hauled trains to see in Hamburg with 112's and clearly some trains still with N-wagons. I didn't get to check services out of Altona or catch up with the Kiel 218's on this trip so those still remain a target. Hamburg Harburg remains a great place to see freight and I was pleasantly surprised with the volume of non-Traxx seen.